It’s that wonderful time of year again when we eat too much and feel all merry, but who can forget the presents? 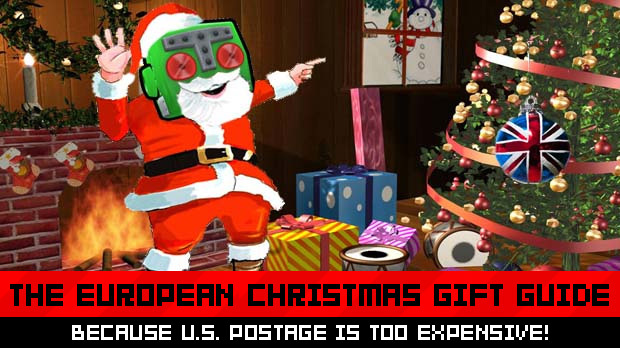 That’s right, the ever more difficult task of buying gifts for your nerdy friends and family has been made slightly more easy by the carefully selected Dtoid holiday gift guide for software and hardware. But I thought I’d make another special guide for us crazy people living over the other side of the blue stuff. It contains a wide variety of random bits and bobs that may interest and inspire you. Or it can just make you want all the stuff for yourself right now!! So iPhones? While they are expensive in themselves, you can give them a nice little outfit quite cheaply. 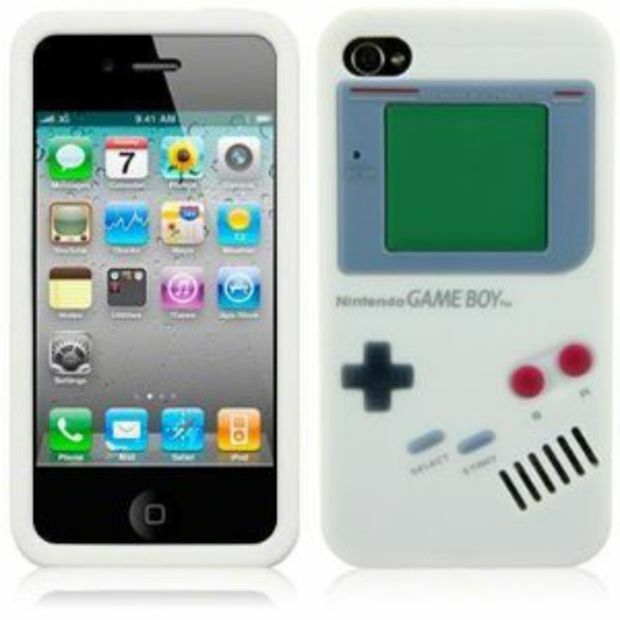 There are a wide variety of retro cases available from cassette tapes to hipstamatic cameras (for the hipster in you). One in particular that I have my eye on is this delightful Gameboy one. Available for just under £5, this is an awesome present for a proud nerd. For the Star Wars fan that already has everything: the Darth Vader baking tray!! This is one of my favorite items on the list and I will possibly be asking Santa for it. If you’re a guy that thinks baking is just for women, then what better way to change that stereotype than with a good ol’ bit of the dark side? Of course you would probably have to make sure you greased up that bad boy before baking or you’ll get cake stuck to his face. Just imagine dazzling your friends with a Darth dessert at your next intergalactic dinner party. 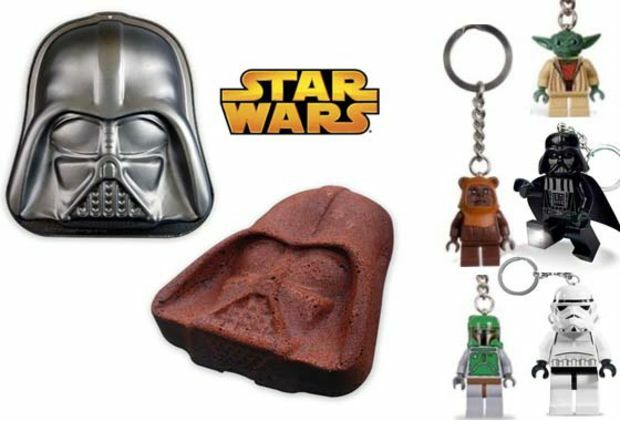 If you’re not into baking, then how about a selection of Lego Star Wars keyrings? They’re posable and cheap! Ok, just one more Star Wars related gift, just because it's awesome. 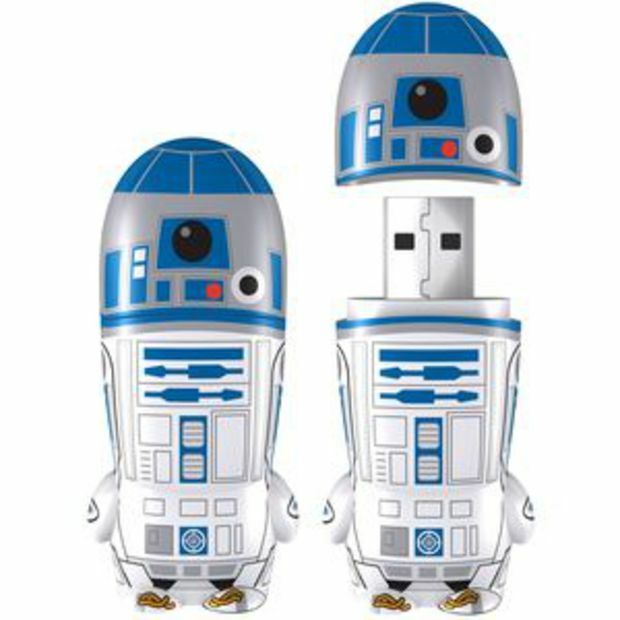 This 2GB R2-D2 memory stick! Think how cool that would look just chilling out at the side of your laptop. It's available from the Forbidden Planet website, where you'll also find lots of great comic book and gaming related gifts. 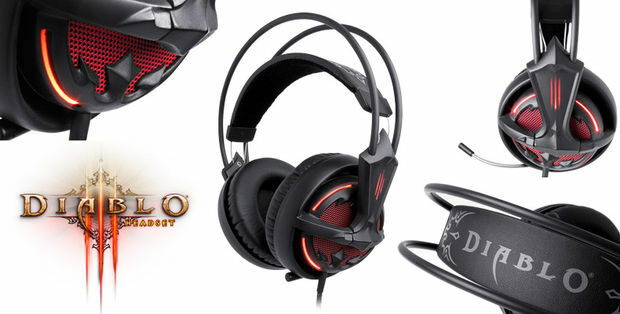 With the upcoming release of Diablo III, SteelSeries have continued their collaboration with Blizzard by releasing a demonically awesome headset and mouse. The headphones contain 50mm driver units that not only deliver amazing sound quality, the bass frequencies produce a powerful rumble that really enhances any gameplay experience. They are modeled on the classic Siberia V2 headsets, so they are lightweight and the earcups are really comfy. The most amazing feature of these headphones, though (apart from sounding great), is the glowy red lights on the sides!!! Around each earcup there is a circle of red LED lights along with the Diablo III logo slashes on each ear that light up when you plug them into your computer. 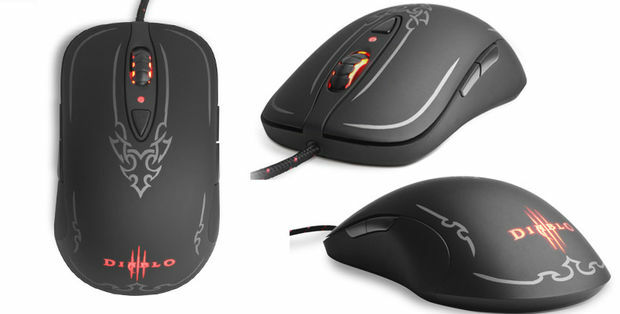 The mouse is equally mesmerizing with pulsating red LEDs lighting the Diablo III logo and the scroll wheel. You can even change the speed of the pulsation rate to fit your mood, chaotic or hypnotic! The mouse itself is ambidextrous, contains 7 ergonomically placed buttons that can be assigned to your macro needs and it is super sensitive so will be reliable during important battle situations. Both the headset and mouse are available to order in the UK and in the US from the SteelSeries website. 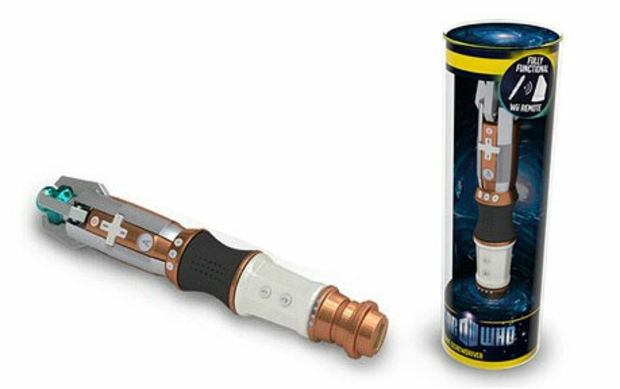 Being British, we all love a bit of Doctor Who, and what better way to play games over the Christmas period (and beyond) than with a Sonic Screwdriver Wii remote! Available for just £9.99 (delivered) at Play.com this is certainly a must-have for any Doctor Who fan, if they don’t already have one of course. 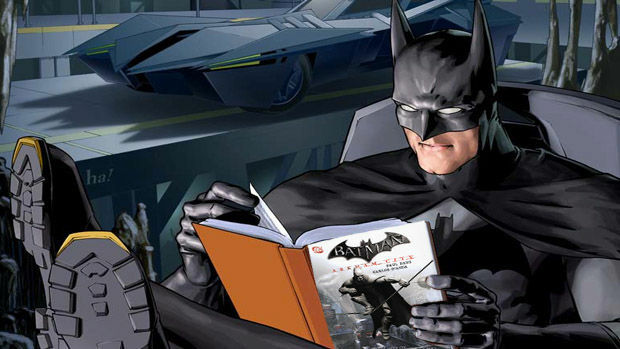 With the recent release of Arkham City, there is definitely a lot of love going on for good ol' Bats right now. If the problem is that the person in mind has already played the game then why not explore it in a more traditional paper sense? 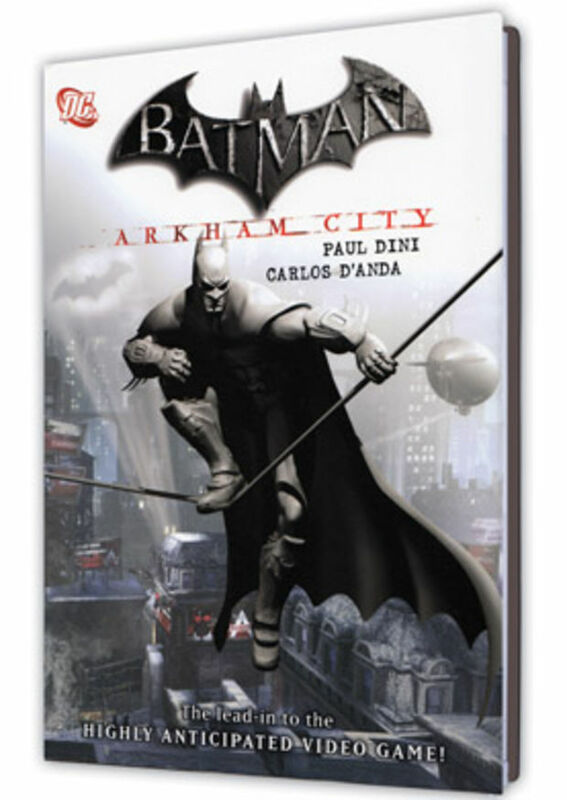 The Batman: Arkham City Graphic Novel is definitely something worth having a look at, as it takes you back into the heart of Gotham to bridge the gap between the events of Arkham Asylum and Arkham City. With the game's writer Paul Dini and concept artist Carlos D'Anda combining their talents for this graphic novel, you get an extra window into the weird and wonderful mind of the Dark Knight. Available through Titan books and all good book/comic book stores. For the girly gamer with a nerdy fashion sense, there is a vast array of websites out there in the wide unknown where people find cool and creative accessories, like etsy.com, but it just takes absolutely ages to find the right thing. 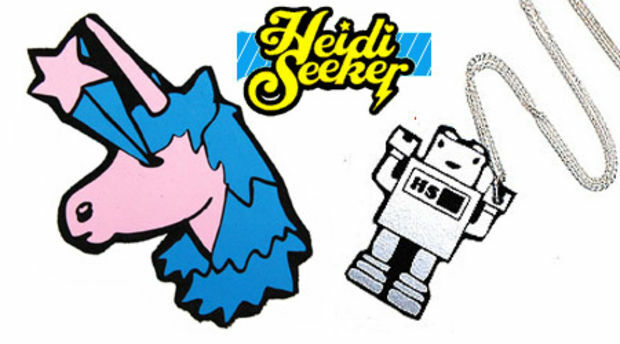 Well here is a website I would recommend: Heidi Seeker. It's quite cheap, fast delivery and their stuff is just so cute, I love it all. Why not treat someone special to a robot necklace or unicorn badge this Christmas? I know we’re now living in the digital age and most people use technology for everything, but something I'm still fond of is a paper diary. 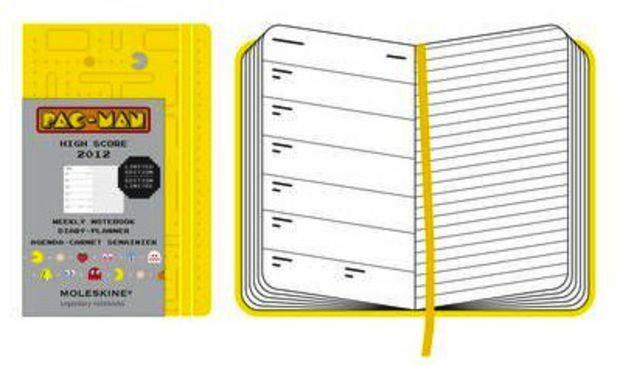 One that would be particularly awesome is the Moleskin Pac-Man diary! It's yellow and it has Pac-Man illustrations inside! You can keep track of 2012 in style. 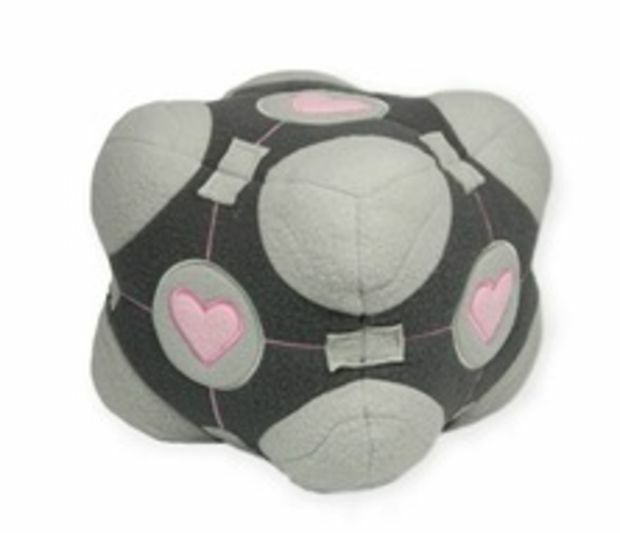 With the popularity of Portal 2 this year, and the inevitable loneliness of Christmas, why not cuddle up this Holiday season with a cuddly Companion Cube plush? Or bless someone you love with one? It will make the perfect bedroom companion for any gamer. So that just about sums up my crazy Christmas gift guide. For more ideas, make sure to visit the Play.com gaming gifts section as they have a lot more novelty items at a similar price range. I hope that everyone has a lovely Christmas and remember to be good or Santa will not bring you anything!